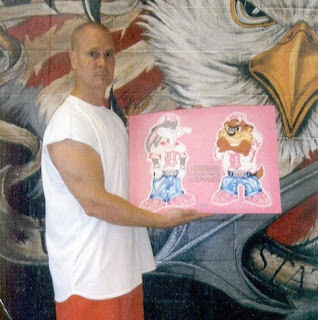 A Wayne County, Michigan Circuit Court judge may soon consider re-sentencing Richard Wershe, Jr.—White Boy Rick—who has been serving a life prison sentence and who has been turned down repeatedly for parole, even though he was never charged with a violent crime. He deserves a second chance. Here are some reasons why. A couple of emails this past week from a man who means well but is clearly uninformed about all of the facts of the case of Richard J. Wershe, Jr.—aka—White Boy Rick, has prompted me to write about a post about the Rick Wershe of today as opposed to the Rick Wershe of the 1980s. He’s quite right about that. Dave Majkowski, one of Rick’s lifelong friends, says the only reason he escaped the life of crime his pal Rick sank into is because he and his family moved to the suburbs. Rick and his family did not. Rick took issue at the 2003 hearing and he takes issue today with those who try to paint him as a “drug lord” and cocaine “kingpin” The thing is, FBI agents who are deeply familiar with Wershe agree. He was never a major dope dealer. Yet there are some in Detroit law enforcement who persist in perpetuating that lie. It can never be said often enough that part of Rick Wershe’s problem is that he helped the FBI prosecute major drug dealers and corrupt cops. He cost these criminals a lot of money and they and their friends are doing their damnedest to keep him in prison until he dies, as payback. But as Informant America has noted several times, it wasn’t Rick’s choice to get in the drug trade in the first place. Agents and police officers in a federal drug task force in Detroit recruited him—at age 14—to get involved with drugs so he could inform on some dope dealers he knew from the neighborhood. As previous blog posts have explained, when the cops got what they needed they kicked this kid to the curb. They dropped him, apparently with no thought of helping him try to become a somewhat normal teenager again after paying him and encouraging him to live on the wild side to help them make a case. Since this past March Informant America has explored and exposed in considerable detail the lies, exaggerations and distortions that are the basis of the legend of White Boy Rick, alleged white teenage wunderkind of Detroit’s mostly black cocaine trade in the 1980s. Anyone who thinks or says Rick Wershe is defiant about admitting his past is just plain wrong. These blog posts are defiant toward law enforcement wrongdoing in his case, but Rick doesn’t write these posts. I do. Rick has been extremely helpful even though he is understandably sick of talking about his past. That stuff happened before he was 18. He’s a grown man now. He’s considerate, frequently asking how my family is doing. He has good manners and a good supply of common sense; something he lacked in the White Boy Rick days. “Reliving the past is a painful thing all these years later!” Rick told me in an email from prison regarding my endless questions about the details of what happened back then. I’ve asked him to review many law enforcement investigative files about himself. Past posts on Informant America have shown those files often contain errors, inaccuracies and outright lies. I keep asking Rick for details not to force him to relive unpleasant memories but to demolish the myth that clouds his name. It’s not enough to get a parole. He has that ‘White Boy Rick’ albatross around his neck to this day. His legend is built on too many law enforcement lies and someone needs to expose the truth as best it can be reconstructed. Rick Wershe Jr. with some of his art. The Michigan Dept. of Corrections restricts photos of inmates. If they want to encourage inmates they should allow photos of them when they are doing positive things to turn their lives around. Today Rick Wershe concentrates on his art work; one of his serious hobbies while he sits in prison waiting for a parole, a gubernatorial pardon or some break after doing nearly 30 years for a non-violent crime. He’s had some potentially life-threatening health problems, too. Still he gets up and faces each day as it comes. He harbors hope that a potential movie about his life will tell the truth. Wershe got his GED high school diploma equivalent long ago. He’s taken all the return-to-life-on-the-outside courses the prison system has to offer. When I filed a Freedom of Information Act (FOIA) request asking for copies of Rick Wershe’s prison discipline record, my request was denied—because he doesn’t HAVE an inmate discipline file. Eric Smith, the assistant to the warden at the Oaks Correctional Facility where Rick is doing his time, told me Rick Wershe is close to being a so-called model prisoner. He has no misconduct marks on his record. Rick Wershe the man is not Rick Wershe the teenager. When he became an adult he changed, just like the rest of us. All he wants is a chance to have a life. He’s always loved cars and he hopes to get in to the car business in some way in another state when he finally wins his freedom. But there are people who don’t want to hear anything about how Rick Wershe has matured and tried to better himself. When he organized, from prison, a holiday food drive for the needy, he was criticized by some. These are people who want the public to believe he is a menace to society, which he is not. One idiot on the Parole Board who thinks Rick should remain in prison until he dies said Rick Wershe doesn’t have friends on the outside, that his only friends are criminals. Gee! Do ya think? You put a man in prison with convicted criminals for his entire adult life and yet you somehow expect him to have a network of good-citizen friends on the outside? How stupid can you be? Don’t answer that. We already know.